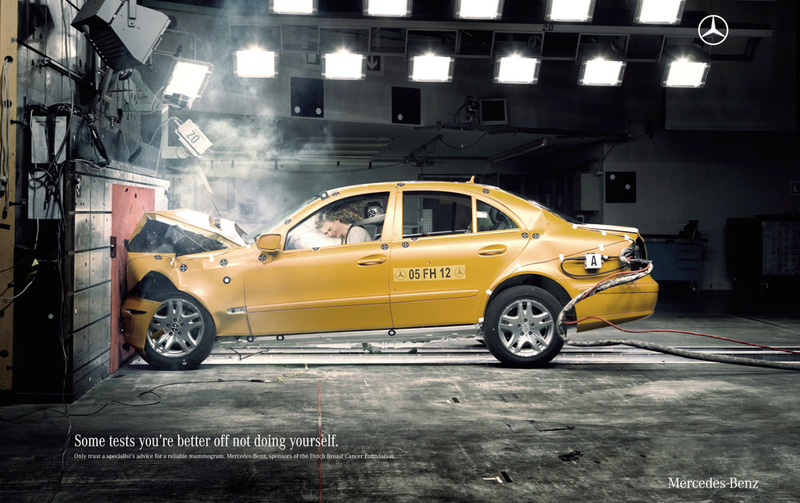 Mercedes Benz Netherlands brings us another breast cancer awareness print advertisement with a crash test theme, this time with a real woman. See the earlier one here. The Mercedes ad in the annual Pink magazine encourages women to register for a mammogram, rather than relying solely on self testing for breast cancer.